The Department of Health and Human Services (DHHS) has funded National Disability Services (NDS) for a project in which a Disability Workforce Innovation Connector team will be based across four regions. Workforce shortages and opportunities occur within a multifaceted ecosystem and require a systemic response. Furthermore, past experience indicates that effective solutions to workforce challenges often need to be location-based. Regional and rural areas face real challenges in achieving sufficient appropriately-skilled workers to meet NDIS-driven demand for disability, allied health and community mental health services. This workforce project will facilitate the diffusion, spread and sustainability of innovative and good work practices, with an emphasis on leveraging existing expertise and resources, sharing good practice, and connecting and engaging with local stakeholders in regional areas. It will seek to align with concurrent workforce and NDIS transition initiatives, develop market and workforce intelligence and will support effective implementation of workforce grants. The Disability Workforce Innovation Connectors (DWICs) will each be based in one of four geographic regions within Victoria. They will work as part of a team; closely integrated with other NDS activities, but based locally. The roles will focus on connecting with local disability workforce stakeholders, identifying local workforce priorities, leveraging existing workforce resources and tools to assist service provider and other stakeholders, and facilitating a series of workshops. The DWICs will work with workforce grant applicants (including consortia), and where possible coach successful grant holders to ensure effective implementation of initiatives. They will have a focus on promoting and embedding innovative and effective workforce practices. The DWICs will be expected to work from home, with appropriate support from NDS. They will each be responsible for engaging with stakeholders across broad geographic regions. In consultation with stakeholders, identify regional workforce issues and priorities, and facilitate sector and workforce development opportunities and strategies which reflect these priorities. Facilitate local workshops which bring together key stakeholders to enable sharing of existing tools, resources and examples of good practice. Capture, analyse and report on local workforce and disability market data and priorities; and encourage engagement of disability service providers with the NDS quarterly data collection tool (Workforce Wizard) and other relevant data collection tools. Maintain close liaison with other Disability Innovation Workforce Connectors, relevant NDS staff, and other key stakeholders in local regions. Identify opportunities to leverage existing or concurrent tools, resources and other workforce initiatives for use in the region. Existing relationships with disability sector stakeholders within the region. Demonstrated working knowledge of community services workforce issues within a regional context. Self-driven and highly motivated self-starter. Demonstrated ability in prioritising and analysing issues, identifying strategies and responding creatively within a dynamic and complex environment. Superior verbal and written communication skills, including demonstrated experience of relationship and stakeholder management across a diversity of stakeholders. Demonstrated skills in identifying opportunities for collaboration, assisting collaboration, networking and leading of cohesive joint initiatives, including the ability to facilitate workshops. Demonstrated good project management skills and an understanding of project coaching and how it can be applied in the successful design and delivery of projects. Tertiary qualifications in a relevant discipline will be highly regarded. 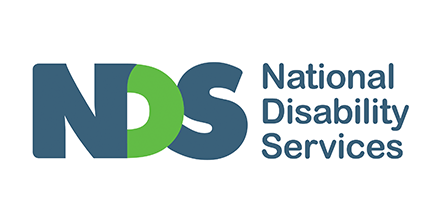 NDS is the national industry association for disability services, representing approximately 1,100 non-government service providers. Collectively, our members operate several thousand services for Australians with all types of disability. NDS’s members range in size from small support groups to large multi-service organisations, and are located in every State and Territory across Australia. NDS promotes the full inclusion of people with disability and this commitment is outlined in our Disability Action Plan (DAP). Please quote in application: Disability Workforce Innovation Connector (DWIC) - Gippsland via Pro Bono Australia.